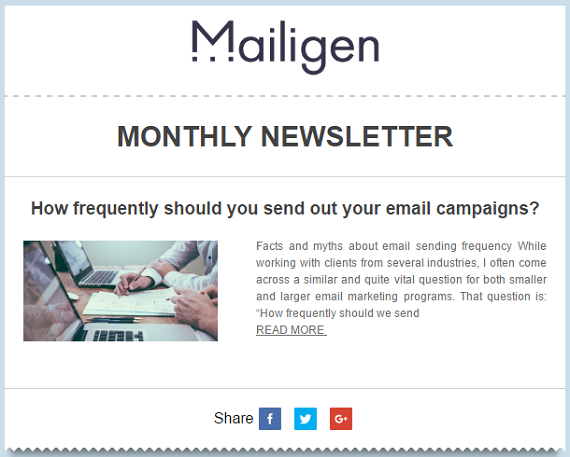 The social media links enable you to add different social sharing icons to your newsletter. When clicked, these will open the appropriate social network where the user can share the link. If you are using the HTML editor, place the cursor in your email content where you wish to set the links and click the Add Social Media Links Button. 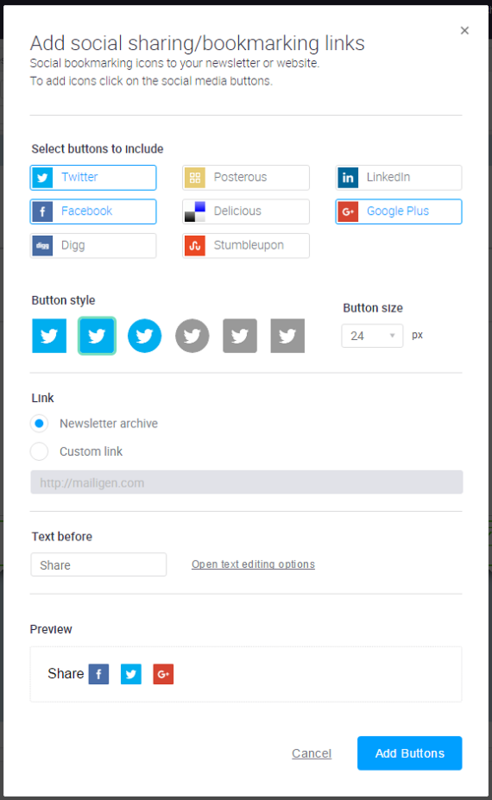 If you are using the drag and drop editor, click on the Social Media Links Block and drag it to your content, releasing the mouse where you want to place the links. This will open the Add Social Sharing/Bookmarks Links Window. Social icons—click each icon that you wish to display. It will appear in the preview section at the bottom of the window. When you are finished, click the Add Bookmarks Button.